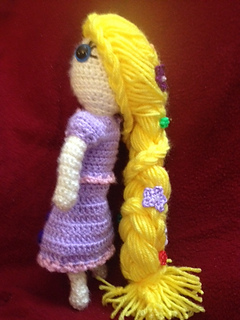 Rapunzel, rapunzel, let down your hair! 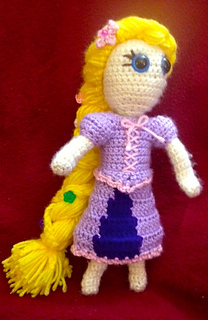 This adorable dress has been inspired by the Disney Movie Tangled’s Rapunzel. 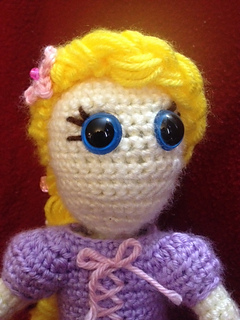 This adorable dress has been designed to fit my crochet dolls that you can find and purchase separately (http://www.ravelry.com/patterns/library/pixie-elf-doll). After all, doesn’t every little girl love to pretend she is a princess? Please keep in mind that I am not affiliated with Disney, and this pattern has been inspired by a disney copyrighted character.